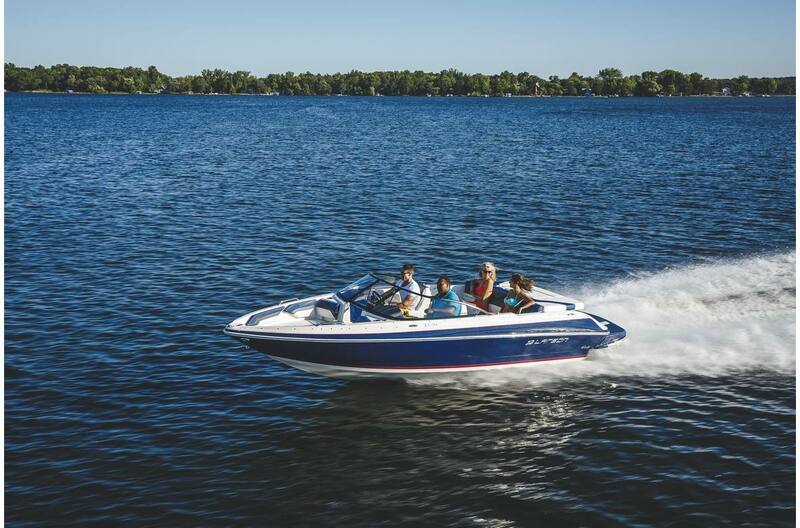 The LX 195 caters to fun of every kind, with comfortable lounge space throughout and the power for extra-thrilling watersports. 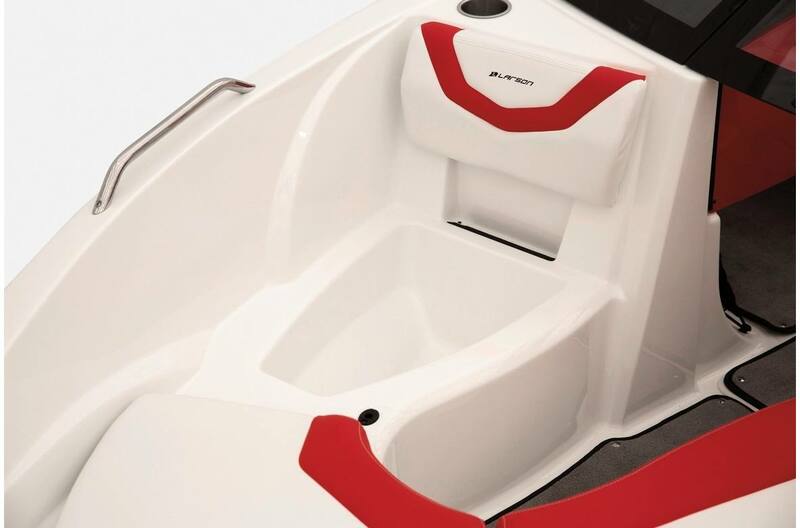 Use the oversized swim platform to dip your toes in the water (or do a full-on cannonball), and captain in comfort with the helm's flip-up sport boat seats with bolsters. 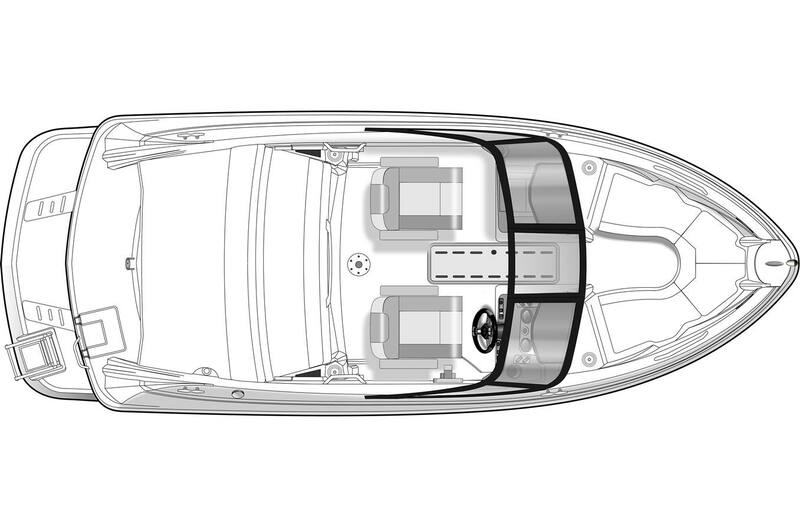 Feel The Difference: Larson boats feature a 21-degree deadrise—one of the steepest in the industry—for a smooth ride and uncompromised performance. 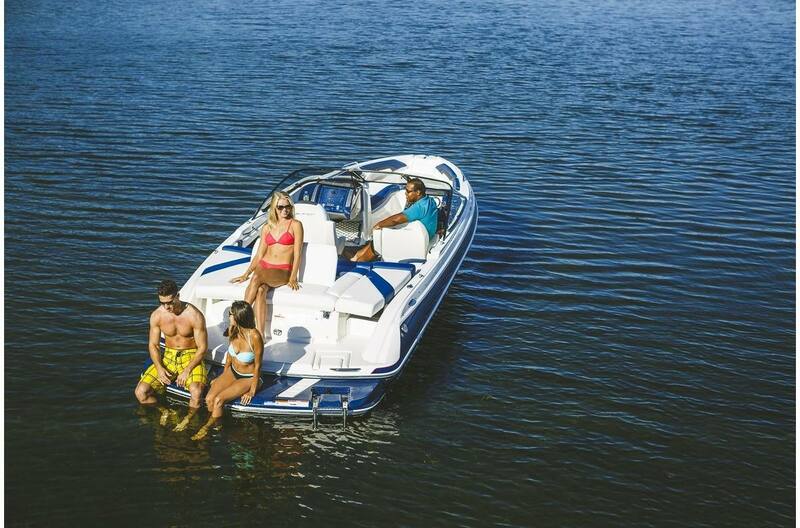 Pick A Color: Personalize your Larson boat to match your personal style. 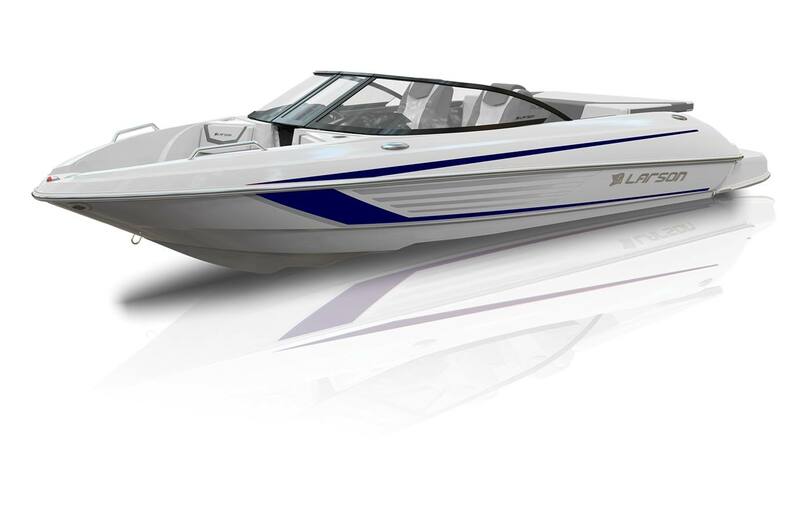 Choose from several color options and graphics packages, and start turning heads on the water. Good Things Under Foot: On a Larson boat, even the floor presents an opportunity for a personal touch. Choose optional marine mat or Sea Grass mat flooring, either glue-down or snap-in.